Prestige Cosmetics Recreate & Win N50K Worth of Makeup. 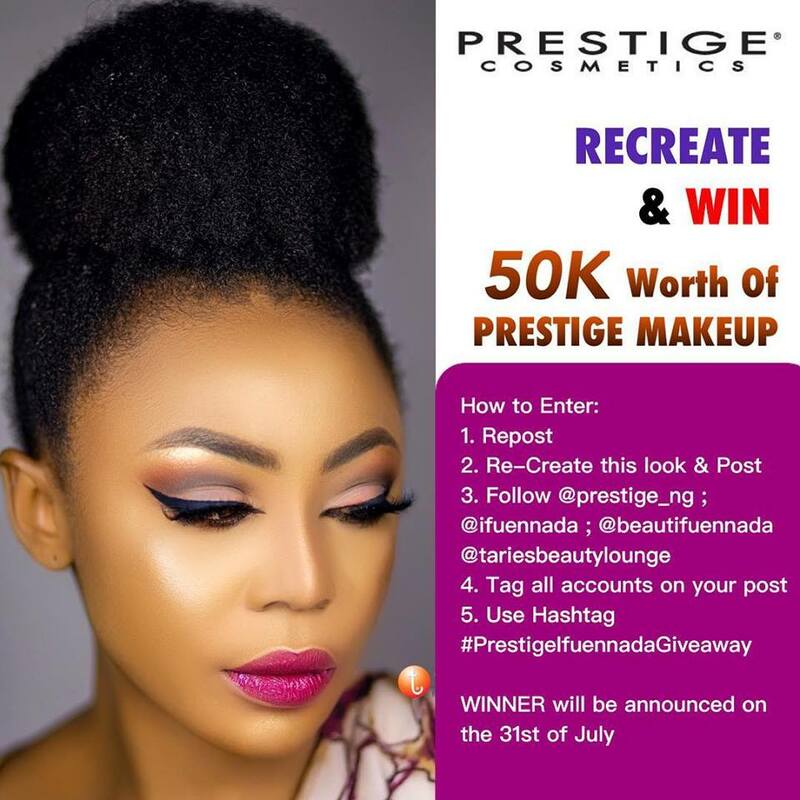 Here's a chance to win 50k worth of Prestige makeup! We used all @prestige_ng makeup products to achieve this look, but feel free to use any product of your choice but to get precise look you may want to use some Prestige. WINNERS will be announced on the 31st of July.